Dutch Oven Bread is such a simple way to make homemade bread. Making no knead bread in a dutch oven is just so easy, it’s completely changed the way I think about baking bread! 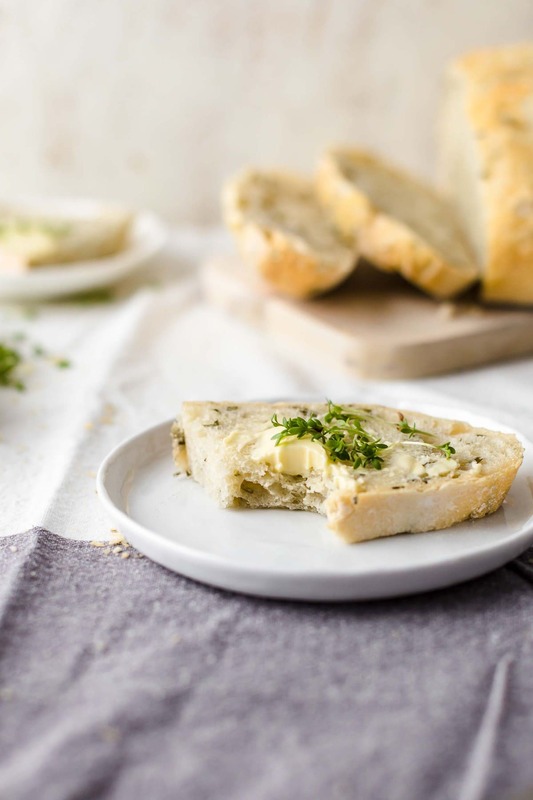 This Rosemary Bread with Sea Salt is simply perfect & tastes amazing. If you’re looking for an easy bread recipe, this is it! This dutch oven bread recipe is simply delicious. 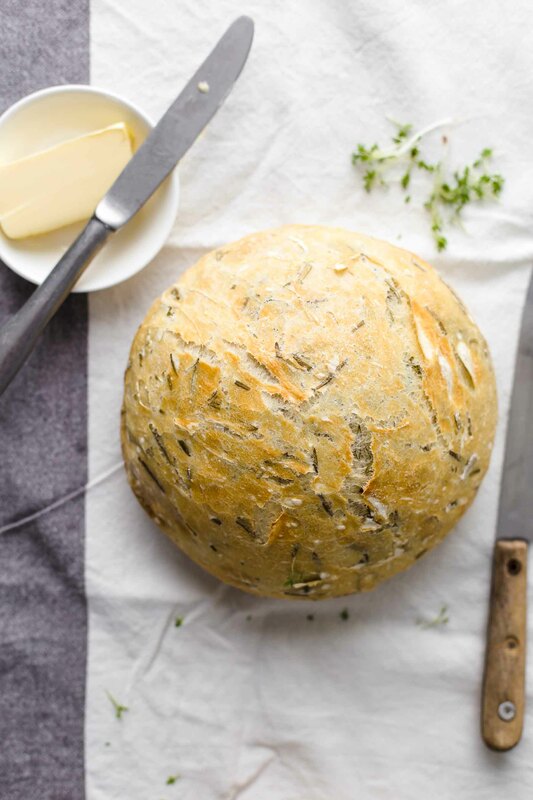 Sea Salt and Rosemary Bread baked in a dutch oven, no kneading required. So easy! But this amazing Dutch Oven Bread recipe has changed my view of bread-making! No knead bread in a dutch oven…THAT sounds like something that IS for me. I gave it a whirl and it worked beautifully! This Sea Salt and Rosemary bread turned out just perfect. The perfect flavor, the perfect texture, the perfect bread. Baking bread in a dutch oven is the way to go if you’re intimidated by homemade breads like I am. This easy bread recipe will make all that fear disappear, so you can have fresh, flavorful bread in your home without stress! 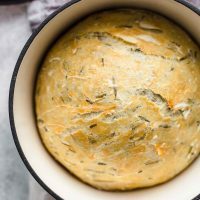 This Rosemary Dutch Oven Bread recipe is so simple. Baking bread in a dutch oven is going to make your life so much easier! Anyways, this rosemary bread is so fresh and so flavorful. It has that perfect combination of crunchy on the outside, soft on the inside. And the sea salt really adds to the overall flavor. Slice it up, add a pat of butter, and enjoy! Bonus: your house will smell amazing. Holy yum! Baking bread in a dutch oven is easy! Although it does have to sit and rise overnight (it needs a good 12 hours), the prep for it is basically nothing. So there’s no fussing around in the kitchen to worry about. 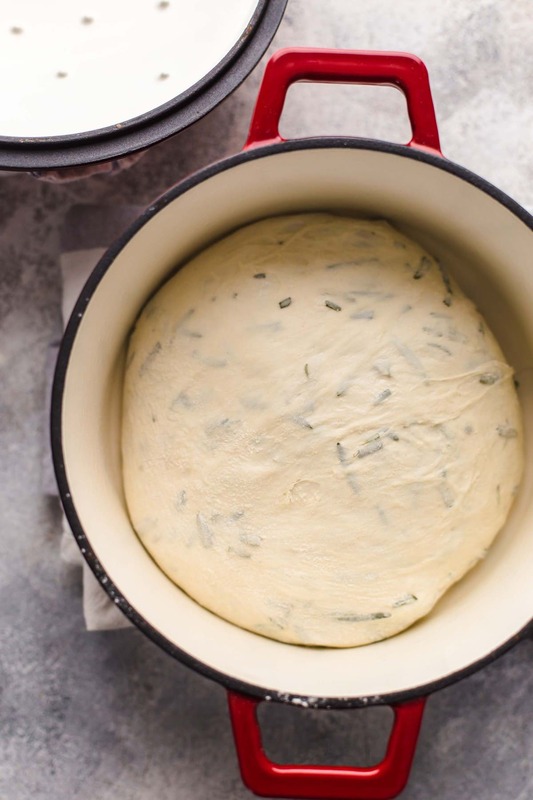 There’s no need for kneading with this easy dutch oven bread recipe. Just let the dough rise, form it into a ball, set it in the dutch oven, and bake! This no knead dutch oven bread recipe couldn’t be easier. I’m using my 4 1/2 Quart Dutch Oven (Cherry Red, it’s a beaut!) for this recipe. All you need to make this rosemary bread is all purpose flour, water, yeast, sea salt, and fresh rosemary. Simple, fresh, delicious! 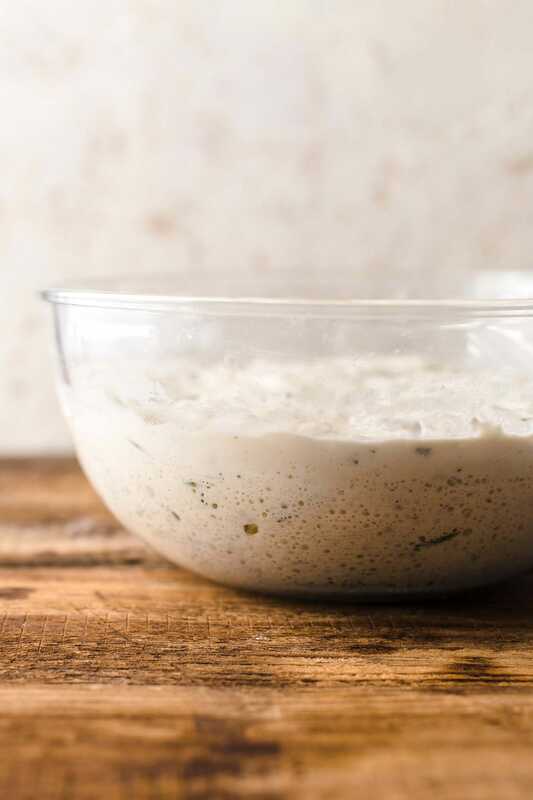 Mix flour, sea salt, rosemary, and yeast together in a mixing bowl. Then use a spatula to mix in the water. Cover the bowl and let it sit out overnight to rise (give it at least 12 hours). When you’re ready to bake, preheat the oven to 450°F and let the dutch oven preheat as well. Flour your work surface and your hands. Remove the dough from the bowl and form it into a bowl. Place the dough into the preheated dutch oven. Bake 30 minutes with lid on (450°F), then remove the lid and continue baking 15-20 minutes. Let the bread cool, slice and serve! 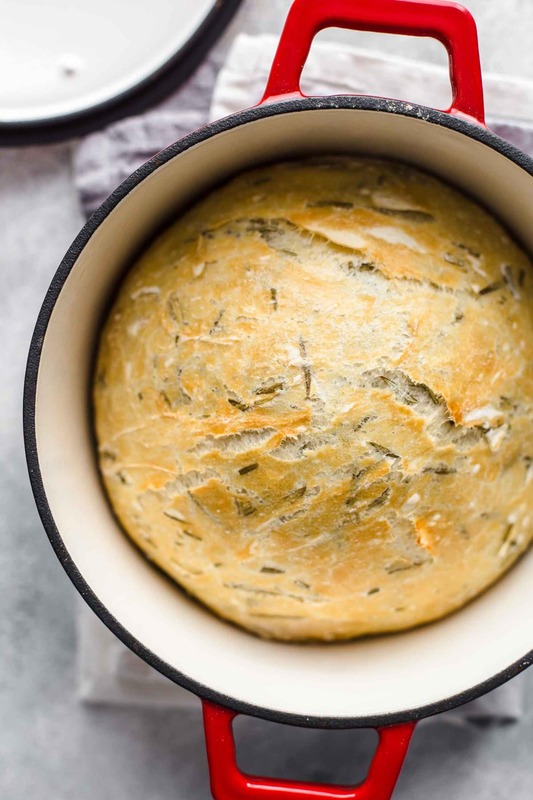 I love snacking on this rosemary bread, or serving it with soup or pasta. I’m a big fan of easy bread recipes. This dutch oven bread is the ultimate easy bread, but I have plenty of other breads, rolls, biscuits, etc. to share as well. Make this easy dutch oven bread next time you need some fresh bread in your life. Sea Salt and Rosemary Bread is just SO delicious! I love it for Easter and spring holidays, but it’s perfect for any time. Watch the Video & See the recipe card for details on how to make Rosemary Dutch Bread Oven. Enjoy! Dutch Oven Bread is such a simple way to make homemade bread. Making no knead bread in a dutch oven is just so easy, it's completely changed the way I think about baking bread! 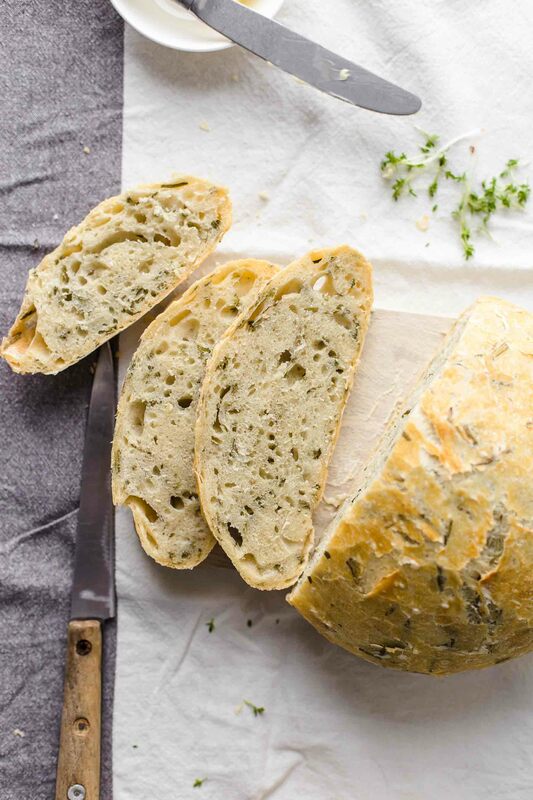 This Rosemary Bread with Sea Salt is simply perfect & tastes amazing. If you're looking for an easy bread recipe, this is it! In a large bowl mix flour, sea salt, rosemary and yeast together. Mix in the water and use a spatula to blend until well combined. Remove from the oven and allow to cool. Cut and serve! Perfect compliment for soups! 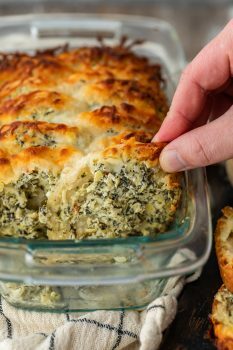 I would use for soups and stews and making this marvelous looking bread! Would love to win one of these dutch ovens, love their colors especially the red. So excited to find your blog. I LOVE it! I make bread all the time, and I can’t wait to try out this recipe! Rosemary is my favorite! This looks delicious! I love an easy no knead bread!!! Thanks for sharing! I’ve never done one with rosemary like this – do you think you could substitute dried? I have that in my pantry right now but no fresh. Maybe I’ll have to test it out both ways sometime. Yeah I think dried would work too!! Hope you’re doing well Jill! When do you add the rosemary? SO sorry I missed that! 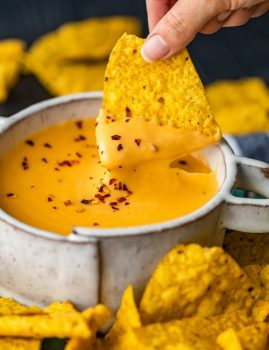 I updated the recipe thanks to your catch!! You just mix it in when you’re making the dough. Hope you love the recipe! If I was to win I’d make your Rosemary Sea Salt Bread. Looks delicious! I have a dutch oven, but it is plain black. I’d love to win a colored one! And I’d really love bread baked in a dutch oven. I need to try this! would love to try to make the bread!! Would cook roast and vegetables.